Regarding that last point, you're free to play and level Raynor, Kerrigan, and Artanis up to the max of level 15. All other commanders will be capped at level 5 and you'll have to pay $5 to unlock them and level them further. Leveling commanders unlocks new abilities and units for them to use within a mission, so there is some stuff you won't be able to access unless you dish out the cash. The blog post on the official website for the game has a little more info for those seeking further details. There's a decent amount of co-op stuff you can do without having to fork over any cash, and best of all, there's nothing preventing friends who have bought all the campaigns and unlocked some co-op commanders from playing with friends who are just checking it out for free. 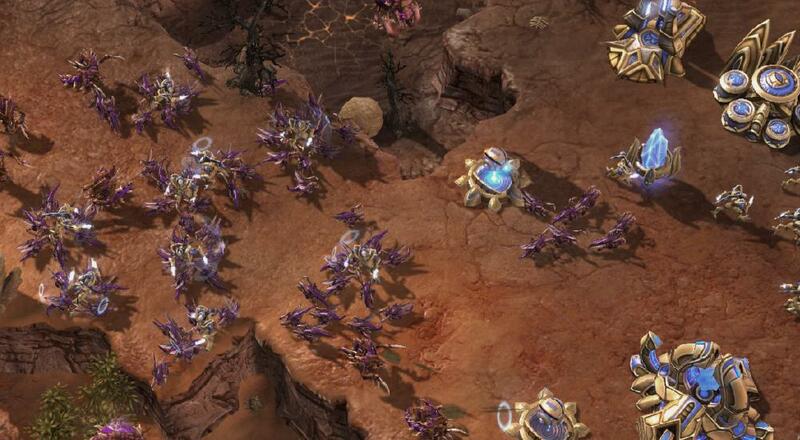 Starcraft II is available on PC and Mac via the Blizzard Battle.Net app. It supports up to four players online, LAN, or a mix of the two in the custom/multiplayer mode (human players vs. A.I. bots, or "comp stomping"), and it supports up to two players online or via LAN (not both) in the "Co-Op Missions". We do our best to break this down further on the game's database page, so check there if it's not entirely clear what's co-op. Page created in 1.6751 seconds.